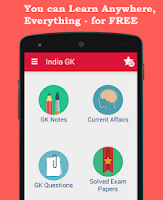 1st, 2nd February 2018 Current Affairs MCQs, Quiz, Questions: Current Affairs for February 2018, Daily Multiple Choice Questions (MCQs) for India GK, World GK and current affairs with Collection of daily objective type Question by www.Indiagk.net based on General Knowledge (GK) and General Science (GS) Questions for UPSC, State PSC, SSC, Police exam, Railway exam, SBI, Bank PO, IBPC, SSC, LDC, UDC, Army, Airforce, Navy, Coast Guard, Bank Clerk, TET and all entrance examination with current affairs News, Multiple Choice Questions (MCQs) available on Website www.IndiaGK.net and Android Apps with daily updates:. Union Finance Minister Arun Jaitley presented the Union Budget for 2018-19 on 1 February 2018. What is fiscal deficit target for 2018-19? Who has been appointed the new director general of the Sports Authority of India (SAI)? What is the disinvestment target for 2018-19, as was announced in the Union Budget on 1 February 2018? Which country is the world’s largest steel producer in 2017? What is the name given to the 4% cess announced in the Union Budget 2018-19 on 1 February 2018 that will replace the present 3% Education cess?